Yarrow Axford’s research into climate history may well help scientists deal with the effects of current and future climate change, an increasingly urgent issue. Her work centers on paleolimnology — the study of lake sediments and past lake environments — to understand climate change and glacier fluctuations in Arctic and alpine environments. Much of her research has focused on the Holocene Epoch (the past 11,000 years of Earth’s history), but she also studies timescales ranging as far back as three million years all the way to the present. The geologic record provides unique opportunities to observe how natural systems are responding to climate change. Axford is especially interested in documenting how systems have responded in the past. Her work provides clues as to how mountain glaciers, continent-sized ice sheets, and cold-adapted ecosystems will respond to climate change. Her research has taken her to Greenland, Iceland, Alaska and arctic Canada. 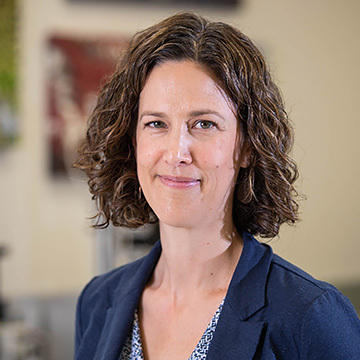 Axford earned her PhD from the University of Colorado-Boulder, and is now an associate professor in the Department of Earth and Planetary Sciences. In 2015, she was awarded a Faculty Early Career Development (CAREER) Award by the National Science Foundation’s Office of Polar Programs. Axford is a staunch proponent for an aggressive, collaborative approach to understanding the previous impact of climate change, so that scientists can better predict what may lie ahead for humanity.